It’s an industrial world out there. Few pristine places are left on Earth, and even there the winds of industry blow. Luckily we have answers. Obviously sunshine, exercise, a truly healthy diet and a happy mindful kinetic lifestyle are lobby-level, yet illness can begin in the best of us when toxic chemical intake and auto-generated wastes overwhelm the capacity for elimination. In other words the rate of elimination must meet or exceed input…or toxins accumulate. Amalgam fillings, air and water pollution, smoking, eating fish and processed foods, pesticides, battlefield toxins, radiations and drug residues commonly lead to cancers, heart/artery disease, autism, depression, PTSD, candidiasis, viral infections, autoimmune disorders, etc., etc. These conditions can logically and practically be prevented, improved or reversed by expeditious elimination of the offending molecules. The term “cleanse” usually causes us to think “bowel” cleanse with strong laxatives and dreadful colonics traditionally used to address gross elimination problems. The intestinal tract can become a plumber’s nightmare so consider that vitamin C doses exceeding bowel tolerance leave one clean as a whistle in a few hours. Attention then zooms in on the intestinal floral population, care and feeding of the good guys and starvation of pathogens. This is done by eliminating sugars and processed carbs (gluten/GM grains) and killing yeasts and other bad guys directly with oregano oil or oxygen releasing products. And then focus on healing the cells lining the intestines that otherwise leak toxins, pathogens, emulsified fats and proteins directly into the bloodstream to source allergies and autoimmune disorders. Cells respond to saturated fats like butter/coconut oil and Omega 3 fats, high fiber leafy greens and green juices w spirulina, intermittent fasting, bone/cartilage soups, raw milks/yogurts, minerals like K, Mn, Se, Zn and Mg, Vitamins C/E and other phyto-antioxidants like curcuminoids, carotenoids, cannabinoids….and regenerate. “Flush” commonly refers to liver and kidney cleansing. They are targeted with various herbal/olive oil flushes. R-Alpha Lipoic Acid, silymarin, beets, liver and added baking soda for kidneys help restore function. The GMI database holds a laundry list of regenerative aids for these organs. “Sweating” and sauna raise body temperature, dump wastes and stimulate all biochemical activity, circulation of blood and lymph. Hot baths of epsom salts or dead sea salts and soaking in ocean water draw-out toxins while infusing alkalizing magnesium; all transdermally. Sunbathing raises body temperature when photons, at various wavelengths from infra red to ultra violet, penetrate the skin to not only produce Vitamin D, but entrain body frequencies and energize our predominant water fraction. UV and radiant heat make H2O’s charge, polarity and conductivity stronger so blood, lymph and other body fluids become thinner. This speeds circulation moving oxygen-rich blood in, waste products out. Exercise, massage and quick temperature shifts like a sauna followed by plunging into cold water agitate fluids that had become stagnant during periods of inactivity. Hot peppers are also great for enhancing circulation. Still, in spite of cleanses, flushes and sauna, metals and toxins will remain lodged in body fat, bones, nerve tissues and cell membranes. A double barreled defense is required. First mobilize them…. then chelate them. Cellular detoxification is initiated when a flood of electrons (using mega-Vitamin C/baking soda) moves materials out of tissues and organs into the bloodstream and on to the kidneys or the intestines to be snatched by chelators. This electron-driven liberation of metals is punctuated by electron-stealing bursts of oxidation ( mega-Vit C generated peroxides, hydrogen peroxide, MMS chlorite, ozone) that disassemble organic poisons, pathogens, fibrin overgrowth and cell debris. Oxidative bursts also spark redox signalling to provoke the release of more in-house antioxidants like SOD and glutathione and awaken other dormant genes to produce protective enzymes. “Chelate” really just means “to grab or claw-on to” (toxins). Chelation Therapy generally refers to IV infusions of EDTA, DMSA, DMPS, etc. that rapidly mobilize and attach toxins….and unfortunately vital minerals which must be concurrently resupplied. The practice has been maligned by conventional medicine in apparent ignorance of the disruption minute quantities of toxins wield upon normal physiology at the molecular level, namely acidity, free radical predation, oxidative stress and inflammation. Chelation therapy has been used to treat heavy metal poisoning, but is not recognized by the FDA for the treatment of disease. The FDA also refuses to admit the connection between mercury, cadmium, aluminum, etc. and a raft of conditions carelessly caused by our politically protected industries. Fortunately everything you need for personal detoxification is freely available. Chelation can be accomplished without IVs by employing many common substances such as chlorella, clays, charcoal, shilajit/humates, cilantro and zeolites which bind to toxins along with sulfur compounds in R-Alpha Lipoic Acid, garlic, onions, MSM and NAC. Proteolytic enzymes like papain, bromelain or nattokinase can help free metals sequestered beneath fibrin films. The word “DETOX” has long been associated with “drying-out” alcoholics, rehab and addictions. Today it’s all about improving inner charge terrain so that cells can get more oxygen, regain functionality and self heal. A wide variety of supplements, physical and psychological treatments come under the detoxification umbrella, and indeed seemingly disconnected approaches all lead to the same goal. Toxins are foreign molecules (like Al, F, Hg, Pb, etc. and a host of organic poisons), damaged molecules (oxidized/trans fats, protein/fat fragments), metabolic waste products, excessive acids and free-radicals of exogenous (radiations) and endogenous (immune response/inflammation) origins. These molecules must ultimately be transformed and eliminated at the atomic level….or the organism will suffer oxidative stress (inflammation), the root of most every disease. Hair analysis is invaluable in 1) identifying metal/mineral presence and 2) to monitor the effectiveness of your efforts to evict heavy metals and normalize Mg, Ca, Na and K levels. Many times blood work does not detect the extent of contamination. Interestingly, younger individuals commonly hold significant metal burdens since this generation has known only higher levels of toxins over the last 20yrs compared to their predecessors. Once follow-up hair tests report healthy levels in all categories and symptoms magically disappear, you will have certain proof….whether the FDA likes it or not. These alternative practices and “home remedies” require a bit of skill in use and an understanding of their actions. Things like chicken soup, apple cider vinegar, cayenne, garlic, epsom salts or Vit C/baking soda have specific healing properties when used in appropriate, usually unusually large quantities, taken regularly and in concert. Include as many as needed while focusing on mineral supplementation and the key elements of mobilization and chelation. I prefer detoxing at home over humiliating rectal intrusion or rapid IV chelation, slowly, gently and inexpensively for extended periods. Just me. 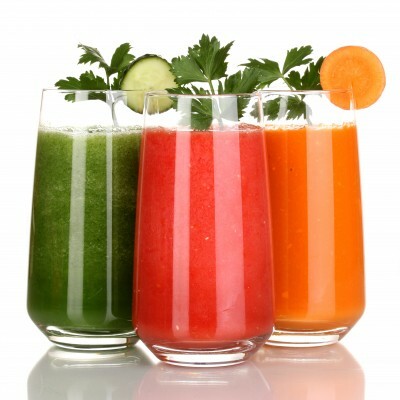 Detoxification is a survival strategy and should become a way of life. We have 365 chances a year to get it right, to do something, to take action, to clean our inner environments, to maintain our quality of life and to allow cells to self-heal. See GMI author page or website for more on toxins, teeth and the redox approach to health and healing. Tagged chelate, cleanse, detox, juicing. Bookmark the permalink.